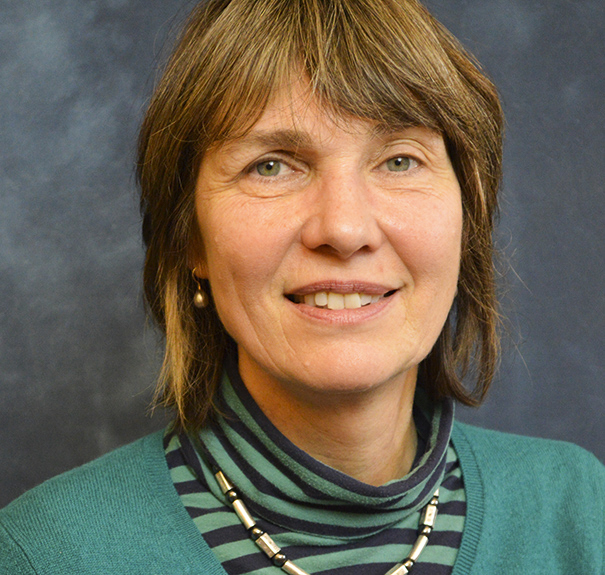 Chair and Adjunct Professor of German Studies Iris Bork-Goldfield has been elected as the northeast region’s representative to the Executive Council of the American Association of Teachers of German (AATG). The AATG supports the German language and German-speaking cultures in elementary, high school, and college education in the United States. “The AATG promotes the study of the German-speaking world in all its linguistic, cultural and ethnic diversity, and endeavors to prepare students as transnational, transcultural learners and active, multilingual participants in a globalized world,” the AATG website states. A long-time member of the chapter’s executive committee, Bork-Goldfield has already served as the president of the Connecticut AATG chapter. But as a representative for the AATG, Bork-Goldfield will act as an ambassador and advocate for the AATG for both the association’s members and external constituents, serve on committees appointed by the president, attend committee meetings, and stay aware of emerging professional issues that arise within her field. Bork-Goldfield will attend the AATG and American Council on the Teaching of Foreign Languages Annual Convention and World Languages Expo in Nashville, Tenn. There she will attend two days of meetings and engage in the assembly of chapter presidents. “Iris’s election provides evidence of the support and respect she enjoys among AATG members for her many valuable contributions to teaching the German language and culture,” University colleague and Connecticut AATG Executive Committee Member Krishna Winston, the Marcus L. Taft Professor of German Language and Literature, said in a News @ Wesleyan article. Born and educated in Hamburg, Germany, Bork-Goldfield has lived and worked in China, England, and Israel. She studied German language, German literature, and American Studies at Munich University, where she also earned her Ph.D. After graduation, she lived abroad and discovered her love for teaching. Bork-Goldfield is also the recipient of the 2009 Rosenbaum-Anderson Award for Teaching and has received number research grants from the German government, German Embassy, and the University. “I really enjoy the students, my colleagues, and the many opportunities the university has given me to grow,” Bork-Goldfield wrote.